Vary the tint of glass elevations electrically, to control both glare and solar gain in commercial or residential spaces. Finepoint is proud to list electro-chromic glass, which is available for customers in London and the rest of the UK. You may have encountered the term electro-chromic glass without understanding what it means – which means you won’t be aware of the benefits. You may have heard the term switchable glass before. This is another term for electro-chromic glass. It allows someone to control how much light or heat passes through the glazing remotely, which means it’s an extremely easy way to regulate an environment. We install electro-chromic glass for customers in London and UK-wide, for businesses and homeowners too. In addition to controlling light and heat, it’s also possible to change the colour of the installation by applying a short burst of electricity. Contact us for advice. When you contact Finepoint Glass with a view to adding electro-chromic glass to your home or business premises, you’ll be presented with two choices – replacing your glass or retaining it and adding a façade instead. Budget and other practical considerations will influence your choice. We have experience of applying both these approaches for customers in London and UK-wide, so you can be confident in the quality of our installation. If you decide that a façade is best, your electro-chromic glass can be automated to limit solar entry and the air conditioning load. This will benefit the occupants of the building and have a positive environmental impact. Overall, you’ll be able to enjoy a revised environment that is thermally efficient, brighter and which feels more spacious. Modern advancements in technology mean that your electro-chromic glass can be controlled from a distance via a tablet or smartphone. Business and commercial residences throughout London and the UK are favouring our products for this reason. Not only is electro-chromic glass easy to change, but it can also be pre-programmed to reflect your specifications. Even better than that, 95% of its surface area can be tint controlled. This is an incredibly flexible and easy-to-use glass system. Discover the full benefits of electro-chromic glass for your home or business by calling a member of the Finepoint Glass team on 01923 229 949 or use our contact form. Remember, we cover London and the rest of the UK. In what settings can electro-chromic glass or facades be used? Our product can be installed in office blocks or shop fronts. Its application can also be used for residential projects. Our bespoke approach means that we’ll be able to find a solution that addresses the specifications of your project – regardless of its scale and in line with your allocated budget. This is important because it means we understand the product we are selling intimately. We will be able to answer any technical questions you have about our electro-chromic glass – and install it flawlessly at your home or place of business. As we manufacture our electro-chromic glass, we can tailor the process to create a bespoke product. Have a look at some of our projects to see how we’ve successfully helped customers throughout the London and UK with their requirements. You can view examples of our electro-chromic glass by visiting us at our dedicated factory based in London. Wherever you live in the UK, please use our booking form to make an appointment to see an experienced member of our team. Until now, blinds and curtains have been a staple requirement for houses and businesses throughout London and the rest of the UK. Once fitted, these items require maintenance to stay clean – and, in most cases, require manual operation. Electro-chromic glass is shaking up the domestic and commercial markets. Home and business owners alike can now control temperature and light at the touch of a button, and even alter the colour of their chosen glazing. Businesses will especially notice the benefit, especially if their site is extensive. The blinds fitted across multiple floors will no longer need to be repaired or sent away for cleaning. 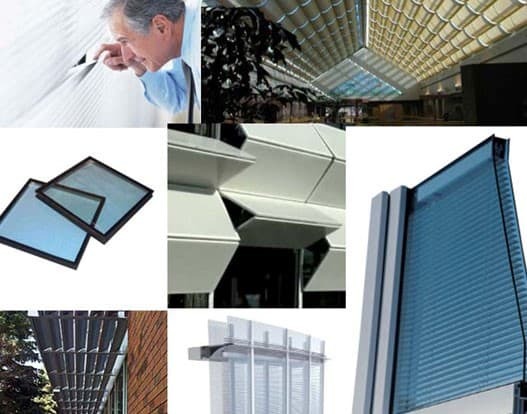 Electro-chromic glass is, therefore, cost saving. To talk to a member of our team, call on 01923 229949. You can also request a call back by using our online form. Its also possible to book an appointment to visit our London showroom, in which case we’ll be able to show you examples of our electro-chromic glass. We work with customers throughout the UK – so please get in touch to arrange a visit. Finepoint Glass designs fabricate and manufacture other products too. If you need help with a project of scale, look at our selection of aluminium sliding doors and bi-folds. Equally, our bespoke glass wine cellars might be the perfect place to house your much-prized wine collection. Either way, we look forward to helping you.